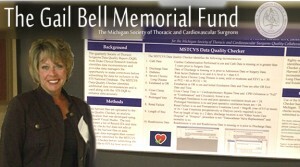 The Gail Bell Memorial Fund has been created to honor and remember Gail’s encouragement and support of data managers pursuing cardiac and thoracic surgery quality improvement. 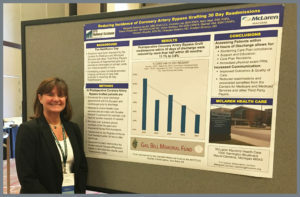 The fund will recognize and partially sponsor one MSTCVS Data Manager per year wishing to attend the STS Advances in Quality & Outcomes (AQO) Meeting and submit an abstract for a potential poster presentation. The winner will be selected at the MSTCVS Annual Summer Meeting. Please put Fund #330073 in the memo. Your accepted AQO abstract must be submitted to Barb Benedetti at the MSTCVS QC Coordinating Center by July 15, 2019. The winner will be announced at the MSTCVS Summer Meeting. The fund is open to all MSTCVS Quality Collaborative data managers. Download an application form to apply for the Fund.